The winter can be a rather depressing time for gardeners and those who love the great outdoors. Not much is growing -- and some areas may be completely covered in snow and ice. While this is a good time to start making plans for the spring to bring to your local landscaping company, you don't have to resign yourself to looking at a boring yard filled with gray, brown, and white for the next few months. If you don't want to wait to add to the value of landscaping on your property, you can improve the look of your yard during the current season by incorporating the following elements. Intriguing Trees: Flowers may not be blooming at the moment, but that doesn't mean that everything you've planted will be lying dormant. The trees in your yard can provide both color and texture during this season. Evergreen trees are an incredibly popular choice, as they will remain vibrant and attractive all winter long. But spruces and pines aren't the only type of trees that will keep your property looking its best. Birch trees and ornamental species can offer interesting visual quality with their bark alone. Even if they no longer have leaves or flowers on their branches, they can act as a beautiful feature in your garden during the winter. Durable Color: As experienced landscapers will tell you, certain plants and flowers aren't meant to withstand the winter. But considering that landscaping can bring a recovery value of 100% to 200% at selling time, you'll need to make your yard look appealing year-round. A great way to accomplish this is by adding bold color that's made to last. Look to shrubs that bear berries and four-season perennials to ensure your property looks picturesque even when the other features designed by your local landscaping company can't be seen. Fascinating Hardscaping: The designs created by landscaping services really come alive in the spring and summer. But hardscape designs look phenomenal during any season. Features like trellises, arbors, pergolas, garden walls, and sculptures can allow your yard to look alive even when all is quiet and cold. That said, you may need to perform regular maintenance so that snow, ice, and dirt don't get a chance to do any damage. Done right, these elements can add a focal point to your outdoor space and allow you to enjoy the look of your yard even in freezing temperatures. 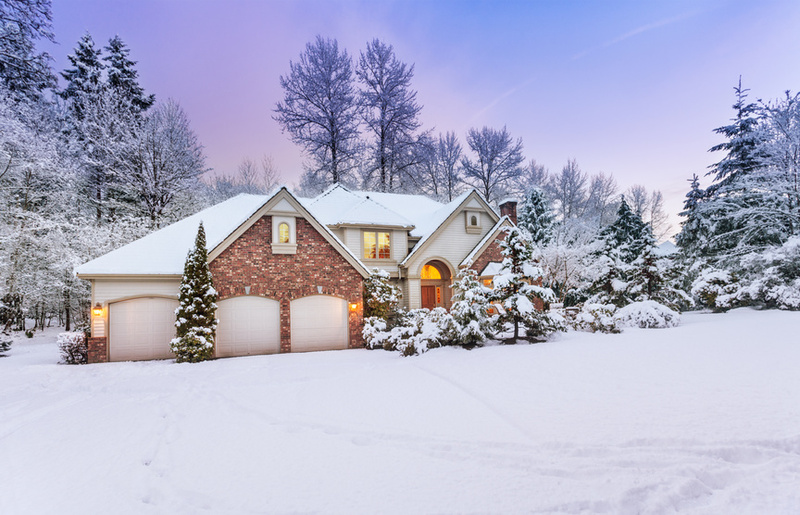 You don't have to give in to the winter blues and let your landscaping fall by the wayside this season. Your local landscaping company can assist you in finding features that will breathe some life into your outdoor space throughout the rest of this season. That way, you can feel joyful whenever you look out the window, even if the weather is frightful.